While there are more than a few high-end luxury car manufacturers across the globe. there's really only one that is undisputed as the world's finest automaker. From Atlanta to Abu Dhabi. 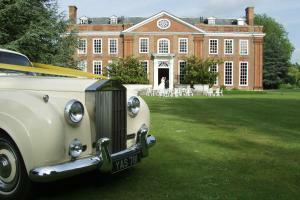 the Rolls-Royce name is universally recognized as the symbol of uncompromising quality and extravagant luxury. 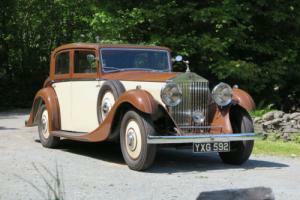 To the handful of people fortunate enough to be able to afford one of these magnificent motorcars. the reward is a driving experience unlike any other. For the rest of us. for a car that originally sticker-ed for over $100k. 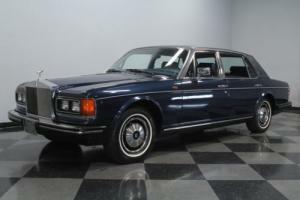 perhaps waiting 30+ years for this 1984 Rolls-Royce Silver Spur to mature into an affordable vintage car is the best way to sample the good life. This is a gorgeous example of the Crewe factory's art. 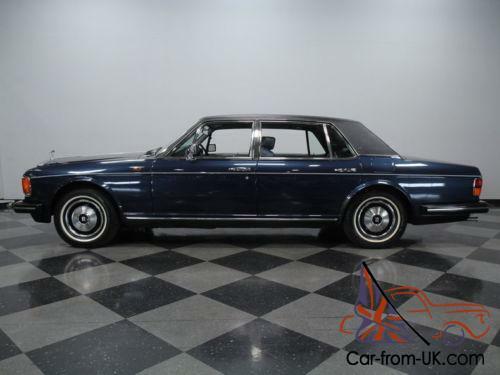 Only the British can create a dark blue with a blue padded roof in such a coordinating color excellence. This factory paintwork still looks fabulous today. which is a quiet testament to the enduring elegance that is expected from the Spirit of Ecstasy. The company's careful dedication to craftsmanship is seen from every angle with a sedan that continues to fit together beautifully. The doors open and close with a precision that has to be experienced to be believed. and the panel alignment is the result of one very fussy gentleman sweating the details until everything was exactly right. It is this kind of attention to everything that makes a Rolls-Royce command respect everywhere it goes. and it is still very present in this example today. Open the door. and it is a luxurious greeting of burled walnut. Connolly leather. and lamb's wool. 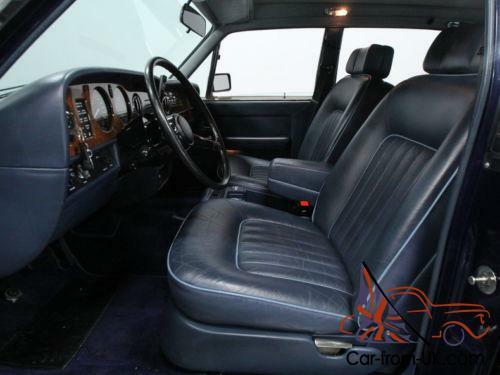 The blue leather with white piping is the perfect complementing color to the two on the exterior of a luxury car that you can tell was planned to be a uniform experience. The view from behind the glossy black wheel is a great reminder how true craftsmanship should be. It includes power windows. power seats. and power locks. 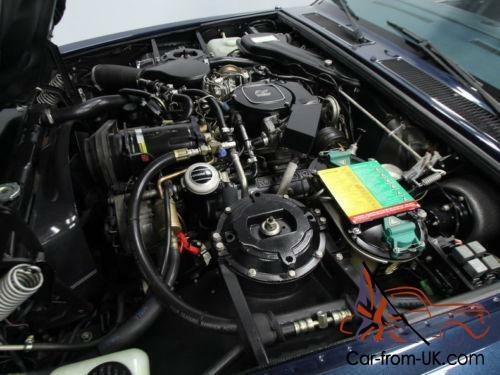 It looks exceptional for a car built in 1984. which tells you the low mileage (only 64k) also means little seat time. 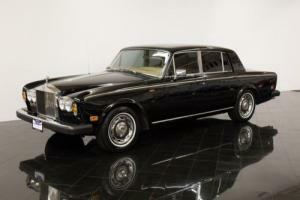 But to make sure you go wanting for nothing in this vintage luxury car. the stereo has been upgraded to a new AM/FM/CD head unit that also has an input for your latest music player. The climate control even has been switched over to R134a to make sure the air conditioning is working perfectly. But this is not a car strictly built for the front seat. The Silver Spur is the long-wheelbase version of the Silver Spirit. which means there is exceptional luxury in the rear seating - after all. the owners of these cars were not necessarily the drivers. Not only does the Silver Spur have more legroom. but it also comes with footrests and tray tables so that this sedan can be used for everything from business travel to backgammon. The smooth running 6. 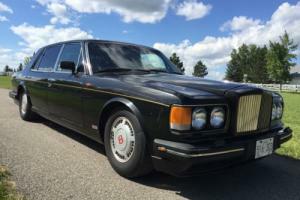 75-liter V8 under the hood is a staple of Rolls-Royce luxury. and this one has barely averaged 2. 00 miles per year. The fuel-injected engine was built to always have power in reserve. Its full force is delivered not like a muscle car. but more like an express train. The engine bay looks as complicated as the inner workings of a Swiss watch. but it also starts with a similar whisper. Rolls Royce engineers went to great lengths to isolate the mechanical workings from passengers. and as a result. the engine is highly refined. going about its business with a minimum of fuss. This is luxury for trips of all sizes thanks to a smooth-shifting three-speed automatic transmission (borrowed from GM for better reliability). power steering. and cruise control. The fully independent suspension has a self-leveling feature that keeps the big sedan on an even keel no matter what the load. and it stays sure-footed with four-wheel disc brakes. Prestige at an affordable price. 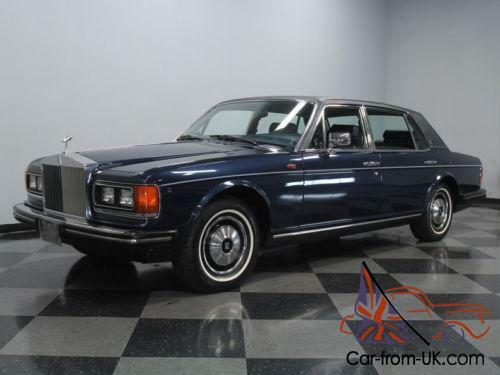 this low mileage and fully sorted Rolls-Royce is a very affordable way to purchase the best in luxury. Call now! !